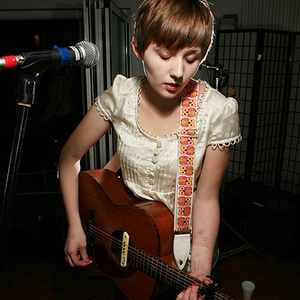 Jessica Lea Mayfield (born on August 27, 1989, in Kent, Ohio) is an American singer-songwriter. She first performed with her family bluegrass band One Way Rider at the age of 8. At age 15, Mayfield recorded her first EP White Lies in her brother's bedroom, printing only 100 copies. One of those copies fell into the hands of Dan Auerbach of The Black Keys. After an introduction, Mayfield and Auerbach hit the studio. A featured vocalist on The Black Keys' Attack and Release, Dan Auerbach returned the favor by producing Mayfield's first studio album, recorded over the course of two years in his home studio. Delving into country, folk and soul, With Blasphemy, So Heartfelt is a collaborative project on which Mayfield's sultry voice adds flair to edgy lyrics and melodies. With the help of her brother, bassist David Mayfield, Jessica Lea Mayfield's debut includes cameo appearances by Dr. Dog's Scott McMicken and Frank McElroy on backing vocals.